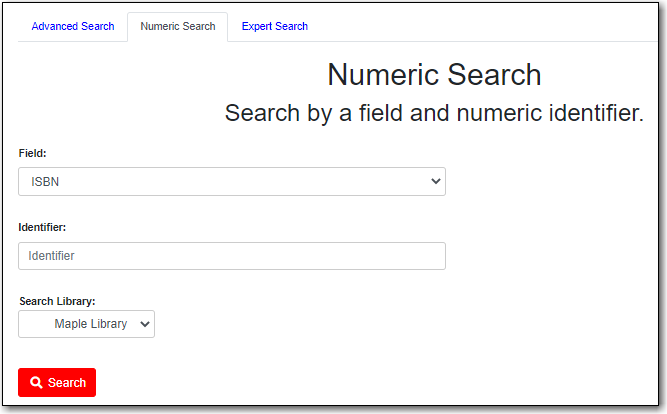 You can access the Numeric Search by clicking on the Numeric Search tab on the Advanced Search screen. Use the drop-down menu to select ISBN, ISSN, Call Number, LCCN, TCN, or Item Barcode. Enter the information and click Search. Searching by Call Number will take you to the Shelf Browser.